Between Mouthfuls & Gosforth's Fete. 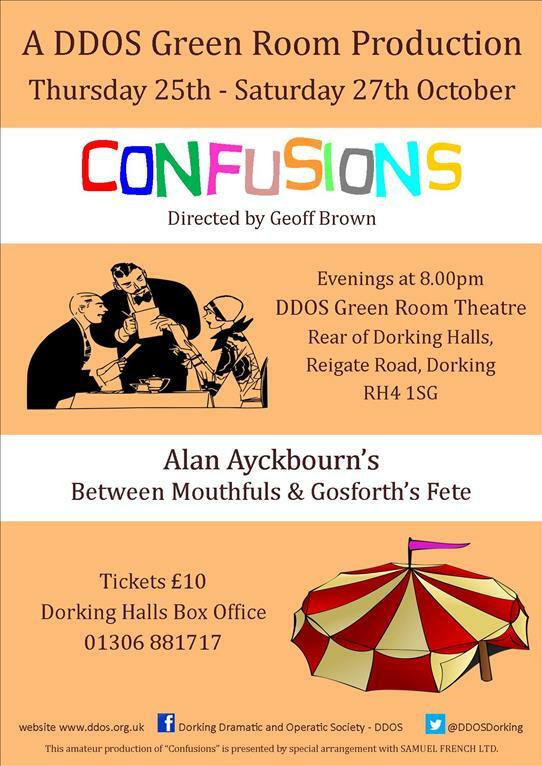 These plays are part of Alan Ayckbourn's Confusions. This production of two short plays promises to be an evening with a difference, you will be transported into typical English country life before you even enter the auditorium.